This is for both you and your friend. The most important thing for the both of you is to get the latest cutting-edge knowledge available. I work with and have friends that are the top doctors in the world that don’t rely on drugs. This is so important that I am going to add this email to my Veterans Health Blog. 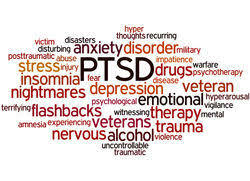 When you are dealing with things like your son’s mental health issues, and your friends sons PTSD, that I believe you said is caused by the military and a war zone, you need to learn as much as you can from the older veterans, like me, that have been dealing with it for many years. We have made all the mistakes and because of so many thousands of veterans coming home from war, we have come up with real answers. I have put a ton of info into my book “The Warzone PTSD Survivors Guide”. You can find out more at my website: WWW.PTSDHotline.Com. I wrote the book for veterans but what has been really gratifying is the help and knowledge the families and friends of the vets gained. You can not help your vet if you don’t understand what a vet has gone through. This is not an advertisement for my book or some of the health info I will give you. I have been there and done that for over 45 years along with my wife who has PTSD by contact. We got married in Hawaii during my R&R leave during the Vietnam war. Between the two of us, we have gained a huge understanding of all types of not only PTSD but also TBI which I also have. By doing the research to save me and our marriage we learned about all the other brain disorders and what can and will help them. There are many things you can both do. Something that really helps both PTSD, Traumatic Brain Injury, Mental Illness and unstable thinking of any kind, is balancing out our physical bodies which then helps clear our brain activity and minds. This is far more important than you may think and much easier to do now with all the breakthroughs in superfoods and nutraceuticals. I have seen this work many times with not only myself but the many veterans I work with. I have a bunch of info that I can send you. What really causes problems with anything that affects the brain is first all the drugs that get thrown at it. I write in my book that the VA has always treated PTSD as Please Take Some Drugs!!! Don’t get me wrong at times some drugs are temporarily necessary as in Bipolar issues which is just sad as the drugs dull the good stuff that a person goes through when they are in the upswing phase. The drugs turn people into semi robotrons and that is terrible. Here is what is really important: Once our bodies are in balance things like bipolar disorder and other issues get ratcheted way down with much smaller mood swings if any. I am also talking about huge benefits to all mental disorders, even people with autism type problems. Here is a link to my Veterans Health Blog. There is a lot more info there and I will be glad to tell you both about fast ways to get your bodies back into balance by just adding a few superfoods. People feel the difference in just days. Let me know if you are interested in my book and I’ll tell you where to get a copy.